In preparation for Open That Bottle Night (live, only on Palate Press; Saturday, February 26 from 7 pm – 10 pm EST), David Honig, publisher of Palate Press, shares some information on the bottle he plans to open for the event. Last January 12th, at 4:53 PM local time, a devastating earthquake hit Haiti, the poorest nation in the Western Hemisphere. Two days later Palate Press began its Wine for Haiti campaign. The wine community was overwheling in its generosity, contributing amazing wines and bidding enthusiastically. Between the American site and the mirror auction held on Boozemonkey, in Australia, we raised more than $40,000 for the relief effort. I knew people would have to be willing to really open their hearts and their cellars to make it work, so I started the ball rolling with the oldest, most valuable, bottle in my own cellar. 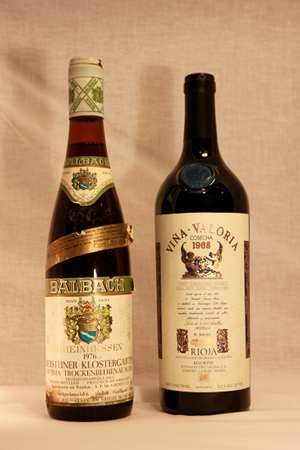 It was one of two bottles of 1976 Balbach Niersteiner Klostergarten Optima Trockenbeerenauslese. The only value I could find on line was $600 (and no, I did not pay that much for either bottle). 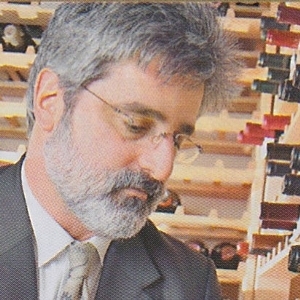 It sold quickly, along with a 1968 Vina Valoria Rioja 1968, for $400. I now have one bottle left, one that I can never bring myself to open, and isn’t that what OTBN is all about? This year I will share it with special wine friends, raise my glass to everybody who helped make Wine for Haiti a success, and look for a way we can help make people’s lives a little better again in the new year. David Honig, the Publisher, looked at the thousands of quality wine blogs and realized there was a ready-made staff for the best wine magazine in the world. David has been running 2 Days per Bottle for two years now, and started up The 89 Project, focusing on that most unfortunate of scores, “89.” He is a self-educated oenophile and defers to the tremendous experience and wisdom of the amazing staff at PALATE PRESS: The Online Wine Magazine.